BCDB Rating: 4.1/5 Stars from 23 users. This page has been viewed 58 times this month, and 10006 times total. Cartoon Characters: Woody, Buzz Lightyear, Jessie, the Yodeling Cowgirl, Stinky Pete the Prospector, Mr. Potato Head, Slinky Dog, Rex the Dinosaur, Hamm the Piggy Bank, Bo Peep, Al the Toy Collector, Andy, Andy's Mom, Mrs. Potato Head, Tour Guide Barbie, Barbie on Backpack, Wheezy the Penguin, Evil Emperor Zurg, Army Sarge, Geri the Cleaner, Green Aliens, Flik the Ant, Baggage Handler. Directed By John Lasseter, Ash Brannon, Lee Unkrich. Produced By Karen Robert Jackson, Helene Plotkin, Sarah McArthur. Written By Andrew Stanton, Rita Hsiao, Doug Chamberlain, Chris Webb, John Lasseter, Peter Docter, Ash Brannon, Jill Culton. Awards: Golden Globe Award Winner, Best Motion Picture (Musical or Comedy), 2000, Golden Globe Award Nominee, Best Original Song, "When She Loved Me" by Randy Newman, 2000. Editor: Edie Bleiman, David Ian Salter, Lee Unkrich. Production budget estimated at $90 million. You can watch this cartoon today on your computer. 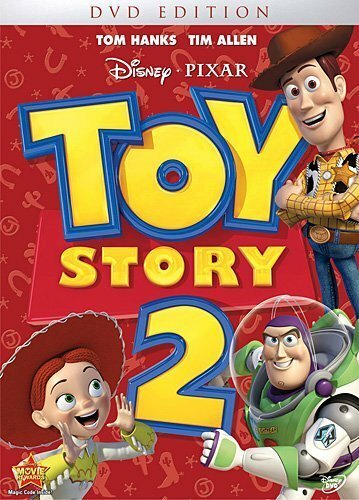 Just click below to start viewing "Toy Story 2" online now. Originally conceived as a direct-to-video sequel to Toy Story, the film was upgraded to a full theatrical release. Do you have anything to add to this page? 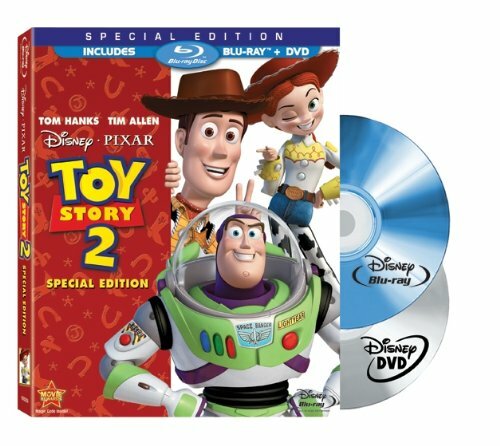 Have we made any mistakes... or do you have any additional information about Toy Story 2? If so, we would love to hear from you. Please send us a quick note with your additions or corrections to this page, and we will make the corrections as soon as possible! Do you love Toy Story 2, or do you think it is the worst cartoon ever? Let us know what you think! Surely you have an opinion... so share what you think. Take a minute and post your own comments about this cartoon here. Toy Story 2 by Big Cartoon DataBase is licensed under a Creative Commons Attribution-NonCommercial-ShareAlike 4.0 International License.